Mining Projects Group (ASX:MPJ) has hit nickel mineralisation of up to 3% in the first drill hole in its current drilling campaign at its Roe Hill project in WA. The ASX-listed explorer told its shareholders yesterday the result, while preliminary, may change the company’s thinking on its exploration campaign. The hole targeted the Lake Talc prospect as part of the overall Roe Hills project, and it said that the hole was completed down to 395.2m downhole, and spot readings had found mineralisation of up to 3%. 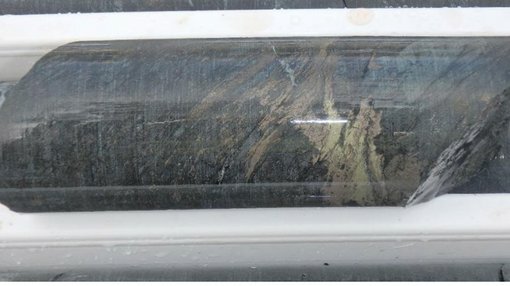 It hit multiple narrow intervals of nickel-bearing sulphides between 190m and 260m, within the range identified on modelled down hole electromagnetic studies. However, MPJ will bring in DHEM equipment to conduct further studies on the interval and assays have been sent to the lab. It said that should the DHEM come back with promising data, then it may think about pulling the drilling rig off another hole and bring it back to the current hole to conduct follow-up drilling. The drill rig is currently west of the Lake Talc prospect, targeting an unexplored ultramafic sequence. Shares in MPJ were unchanged in intraday trading, currently trading at 0.6c. Last week MPJ told the market that it would have more drilling targets on its hands thanks to new geophysical work being undertaken by the company. It said that it had identified six new conductors as a result of the program, with three pegged as high priority targets. The current drilling program at Roe Hills is testing a possible 40km mineralisation extension at Roe Hills, near Kalgoorlie. It is aiming to drill 5000m before the end of the year, with the targets picked out by MPJ’s technical team and ex-CSIRO head of magmatic ore deposits Dr Robin Hill. Want to find out more about MPJ?